It’s likely that at least half of your luggage is taken up by underwear and shirts that, frankly, you could be washing as you go. You wear, you wash. Repeat. That means luggage consisting of just two pairs of quick-drying underwear (wear one, pack the other) and socks from Icebreaker, Tilley or ExOfficio, and a couple of crease-free shirts. However, even a capsule wardrobe needs washing. Step forward this portable washing machine. 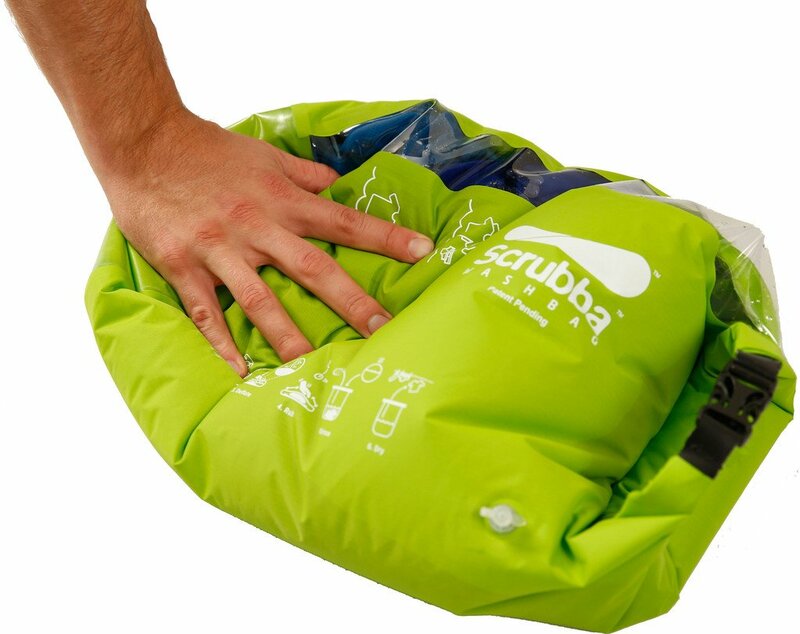 Weighing 160g and compressable to about the size of a pair of socks, Scrubba is basically a washboard in a bag. Insert a shirt, a pair of socks and some underwear, soap powder and hot water. Then scrub on the washboard inside, rinse, and you’re done. Quicker and less messy than hand-washing your clothes, Scrubba lets you stay in control of just enough kit to get you to a business meeting and out to dinner, through an airport, and even to a hotel gym and swimming pool without ever checking-in luggage. It also doubles as a decent stuff-sack – though only if it’s dry. You could argue that a pair of rubber gloves and a sink is just as good as the Scrubba, especially if you’re only washing your underwear each day. However, in a beautiful coincidence, when dry Scrubba is the perfect size for storing a bottle of duty-free booze on the way home.